There’s something about the image of King Kong riding along with me. It gave me a push. But it’s not just song lyrics. 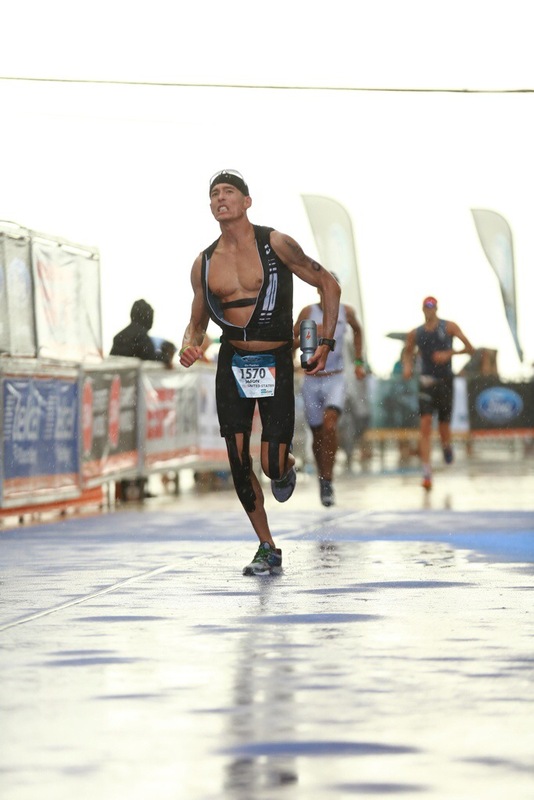 I remember a sign held by a spectator at Ironman Arizona that read: “You do this because someday you won’t be able to”. That message resonates. It pushes me. “Be strong. You never know who you’re inspiring”. That one has endured and continues to push me. Of course, there are the naysayers. I consider them a great source when I need a push. On the night before the Ironman US Championships (in NYC), my dad and I were speaking over the phone. Just before we hung up he said, “Don’t be surprised if your run is a lot slower tomorrow”. My dad had a patient who did the Boston Marathon and posted a significantly slower time than his qualifying time, which he attributed to the East Coast heat and humidity. Well, I did not take my dad’s words in stride. My plan was to PR the next day, and part of that PR involved a breakthrough on the run. His cautionary words enraged me! I was so angered that after we hung up, my new plan was to bury myself on the run just to prove that my run would not be “a lot slower tomorrow”. And that is precisely what I did. While my run split doesn’t tell the whole story, that is still the gutsiest effort I’ve ever given on the run. And what was the push? Somebody suggesting it couldn’t be done. The trick with that one, though, is you have to trust and respect the person who is discouraging you. Otherwise, the discouragement is not taken seriously enough to push you into (and out of) the really dark places. One technique is to think about the things that push you before each training session and definitely before each race. That way, when you start to slow, when the wheels come off the wagon, you’ll be ready. Your physical ammunition may be spent, but mentally you’ll still have an arsenal.